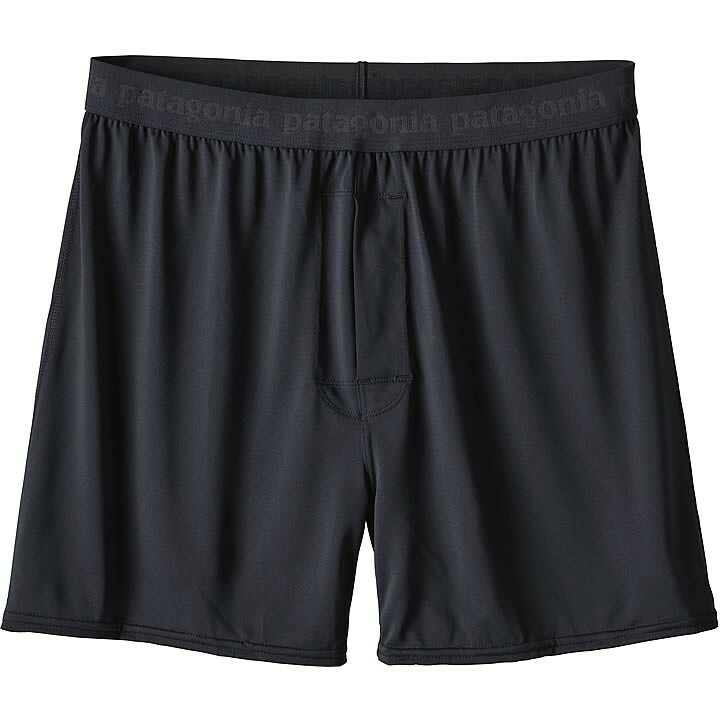 Made from Capilene® Daily fabric, these go-to boxers are Patagonia's stretchiest baselayer for everyday wear. Designed to provide stay-cool, nonbunching comfort, the Capilene® Daily Boxers are perfect for work, travel or lounging. Patagonia calls their baselayer category "Daily", but uncommon qualities like Fair Trade Certified™ sewn, which means the people who made these products earned a premium for their labor, make these styles something out of the ordinary. The fabric has the wicking-performance backbone of Capilene® 100% recycled polyester jersey, but in a stretchier, regular fit most suited to everyday pursuits. Polygiene® permanent odor control means less washing and longer wearing. These boxers feature energetic prints inspired by nature and the sports we all love. The soft, brushed-elastic waistband won't bind, roll or bunch, and the fit provides a trim silhouette. Self-fabric, fully functional fly for no-fumble pit stops.